Eugene Chaikin was born December 18, 1932. He grew up in a Jewish, Communist household in which his father was a dedicated socialist. Gene’s grandmother was very politically inclined as well, with a socialite background. His father committed suicide when Gene was just fifteen years old. When Gene was twenty-seven, he married Phyllis Alexander, who was twenty-one and also came from a very political, Jewish Communist family. Together they had two children, a daughter named Gail, and a son named David. Gene attended UCLA, where he earned his law degree. He became a corporate attorney representing insurance companies. Eventually, Gene became a Deputy County Counsel for Shasta County, California. Despite their traditional vocations – Phyllis was a kindergarten teacher – they became involved in Transcendental Meditation and alternative lifestyles. Gene threw himself into his work for the Temple with gusto. On top of wrangling guardianships, he became Jim’s personal lawyer, especially after the defection of Tim Stoen in 1977. Indeed, it was Gene who provided Jones with legal representation during the crisis over the custody of John Victor Stoen. As for Phyllis, she was encouraged to get a degree in nursing so that she could help out at the Temple’s elderly care facilities. Gene remained diligent and enthusiastic about his work, that is, until December 13, 1973, when Jones was arrested inside of a movie theater in Los Angeles and charged with “homosexual activity.” Gene was aghast and disillusioned when he learned of Jones’ faux pas. For the first time, Gene began to question his leader. Although the charges were soon dropped and the record sealed, real damage had been done to Gene’s respect for Jim. Meanwhile, Gene had accompanied some of the earliest pioneers to Jonestown in mid-1974 and immersed himself in horticulture. He was able to release his anxieties by working with the first settlers to plant crops in the hopes that Jonestown would be self-sufficient. Moreover, the two years he spent in Guyana kept him out of sight from the ever-watchful eye of Jim Jones. The dreams of the pioneers suffered a severe – perhaps inevitably lethal – blow in the summer of 1977, when unfavorable publicity about the Temple in the Bay Area led Jones to order an immediate mass migration to Jonestown. The community was never intended to sustain more than 750 people, and when 1000 new people flooded in – most of them in the course of a few weeks – it was obvious that the settlement was nowhere near being self-sufficient. There wasn’t enough housing, there weren’t enough crops. Gene saw his hopes for his horticultural work, which he was ever so devoted to, dashed. Even worse, Jim Jones had come to Guyana “beset with crises, grudges and obsessions” (Isaacson 2008). Jones was obsessed with the John Victor Stoen custody case, which created more work for Gene. The custody case “had become a rallying point for the Temple’s enemies in the US, including both the press and a newly formed protest group organized by Timothy and Grace Stoen, called the Concerned Relatives” (Isaacson 2008). As Jones’ chief counsel, Gene had to handle the Stoen case in the Guyanese courts. As part of their efforts to get their son out of Jonestown, Timothy and Grace Stoen prevailed upon these courts to serve warrants for both Jones and John Victor, hoping to force the Temple leader to bring the boy to Georgetown, Guyana’s capital. The Stoens’ lawyer, Jeffrey Haas, was indeed able to get the Guyanese government to serve these warrants on Jones in Jonestown, but when the marshal arrived, the people of Jonestown said that Jones was not in the encampment and they refused to physically accept the warrants. The Guyanese official “served” the papers by nailing them to a wooden wall. Gene watched all of this go down with trepidation, but the final straw came when Jones called a “White Night” and ordered everyone in the community to encircle the encampment with weapons and wait for what he said was an imminent attack. He followed this up with a mock suicide ritual, and directed his people to drink punch that was supposedly laced with cyanide. Gene watched his two beloved children, Gail and David, stand in the circle and then drink the punch. When Jones called off the “White Night” and allowed the people to disperse, Gene decided that he had seen enough. In Gene’s mind, Jim Jones was mentally unstable and a danger to them all. Gene decided that he had to get out of Jonestown and try to appeal to others regarding Jim’s behavior. As Jim’s lawyer, Gene had access to his passport (a luxury that most in Jonestown did not have, as their passports were confiscated when they arrived in Jonestown). Gene got out to Georgetown and then flew to San Francisco and the Temple headquarters. Once there, “Gene spent time in the Temple’s legal office in Geary Street church and imprudently confided his suspicions about Jones’ deteriorating sanity to the staff” (Isaacson 2008). Gene even went so far as to speak with Jones’s wife Marceline about the dangers that he foresaw as a result of Jim’s actions during the six day siege. He was concerned about the lives of everyone in Jonestown, but he also felt that Jim’s threats of suicide had made the community look bad and childish to their Guyanese hosts. Jones was furious when he learned what Gene had been saying. Speaking on the HAM radio from Guyana, Jones angrily defended himself and called the situation “the Chaikin crisis.” He ordered his attorney to return to Jonestown immediately, but Gene had other ideas. Instead of flying back to Georgetown, Gene went to Trinidad in an attempt to put space between himself and Jones. Collecting his thoughts, Gene wrote a letter to Jones in which he listed his reasons for leaving, including the crisis of the six day siege and his general feelings towards Jim Jones as his leader. At the top of his mind were his children: Gene wanted them to come out of Jonestown so that they would be safe. Gene was risking a lot by dissenting from Jim Jones, perhaps more than he was aware. Barry Isaacson feels that Gene was “a bit naïve… not aware of the waves that he was making” with his letter. Certainly, there is no evidence that anyone inside the Temple had dared to speak to Jones in such a fashion prior to this letter. 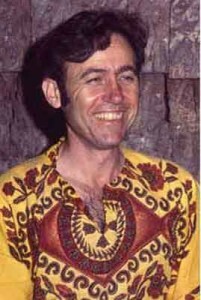 Gene had expressed his concern for his children and his desire to get them out of Jonestown, noting that his wife, Phyllis, was being sent to talk to him in Trinidad. But Phyllis’ role had changed in her months in Jonestown: now that she was an integral part of the medical team, she had been asked about what she thought would be the easiest and “cleanest” way for the community in Jonestown to commit suicide if need be. Phyllis had answered unflinchingly: “We prepare the people by reading the words of strong, assertive revolutionaries of the past who took this choice over the p.a. system … We will meet in the pavilion surrounded with highly trusted security with guns. Names will be called off randomly. People will be escorted to a place of dying by a strong personality … who is loving, supported [supportive] but nonsympathetic. They are accompanied by two strong security men with guns. (I don’t trust people to arrange their own death … but [it] can be arranged by outside pressure and no alternatives left open.) At the place of dying they are shot in the head, and if Larry [Dr. Larry Schacht] does not believe they are definitely dead, their throat is slit with a scalpel. I would be willing to help here if it is necessary. The bodies would be thrown in a ditch. It might be advisable to blindfold the people before going to the death place in that the blood and body remains on the ground might increase the agitation” (Isaacson 2008). In other words, Phyllis was not going to support her husband in his request to remove the Chaikin children from Jonestown. Instead, she convinced Gene to let things be and to return to the community. With no other options open to him, he agreed. Once back in Jonestown, Gene was once again at the mercy of Jim Jones. From his position of power, Jones told those in his inner circle to drug Gene and keep him under surveillance within the compound. Gene was given Thorazine, a powerful sedative, and was placed in the “Extended Care Unit” to be watched. There is some irony to the fact that Gene was forcibly kept so close to where Phyllis worked, considering that their viewpoints were so vastly different. Gene was not out of it all of the time, though. He was still occasionally seen working in the garden, doing his beloved horticulture. He was also functional enough – at least at times – to continue doing some legal work for the Temple, as is seen in his correspondence with Temple attorney Charles Garry in San Francisco. However, when any dignitaries arrived at Jonestown, such as Soviet consular officer Feodor Timofeyev, Gene would be kept in the “Extended Care Unit” to preempt any ideas he might have about voicing his dissent and compromising his leader with his words. Gene remained a perceived threat to Jones all the way to the end. On November 18, 1978, the final day in Jonestown, Charles Garry – who had gone to Jonestown at Jones’ request to help the community during Leo Ryan’s visit – desperately wanted to see his friend Gene, but again, he was kept out of sight. “In an interview with Robert Scheer in the Los Angeles Times on November 26, 1978, eight days after the catastrophe, Garry recalled, ‘I kept wanting to see Gene Chaikin. They kept telling me he was sick. And Mark [Lane] kept telling me not to ask them anymore. He said, ‘They’re not going to let you, don’t ask anymore.’ And when we were in the jungle, I said, ‘Why did you keep telling me not to ask?’ Then he told me the whole story. He said, ‘Gene Chaikin is drugged, if he’s still alive.’ If I had known all of this, I would not have been a party to going [to Jonestown], I would not have asked anybody to go down there, and I would have gotten the hell off the case” (Isaacson 2008). Eugene Chaikin died in Jonestown, along with Phyllis and their two children, Gail and David. Exactly how Gene died is a matter for debate: all that is known is that he was in the “Extended Care Unit” at the time. Whether he drank the poison voluntarily or was forcibly injected will never be known. What is known is that Eugene Chaikin showed great personal fortitude in the face of the insurmountable force of Jim Jones and his whims. Gene left a legacy that is very complex. To author Barry Isaacson, Gene represents “the voice of common sense and principle in a world that had become fanatical.” Indeed, Gene was a voice of common sense: he was also a voice of bravery. Although he may have been naïve regarding how he would be punished for speaking out, he had to know that he was taking a great risk in doing so, but he chose to speak out anyway. When the going got rough and he realized that he could not get his children out of Jonestown, Gene chose to stick with the group, no matter the risk to himself, in the hopes that he could somehow affect change. Gene was not able to do so. I agree with this assessment: many people believe that Jim Jones brainwashed the people of Jonestown and that is why they died on November 18, 1978. Through Gene, however, and others, such as Christine Miller, we can see that there wasn’t brainwashing at Jonestown. Indeed, in Gene’s case, we can see that people kept their individuality and their personal beliefs even if they clashed with those of Jim Jones. 1 Conversation with Barry Isaacson, 2012. 3 Conversation with Laura Johnston-Kohl, 2012. Last modified on March 19th, 2014.